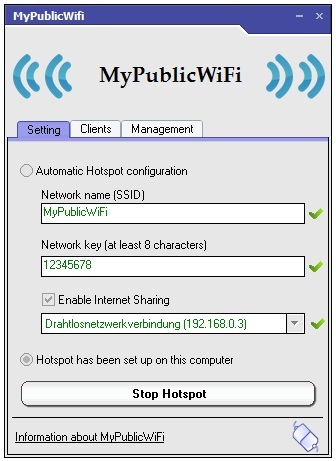 Creating a WiFi HotSpot on your computer within a minute with our selected top free WiFi hotspot software. What is a WiFi Hotspot? It is a physical location that offers Internet access over a Wi-Fi connection through the use of a router connected to an ISP. Hotspots typically use Wi-Fi technology. WiFi Hotspot is mostly found in the restaurant, hotel, school, public transportation, airport and so on. Previously, a Wi-Fi hotspot can only be created with a WiFi router. Later on, this technology has been integrated directly into smartphones and also can be created a personal computer. To turn your computer or laptop into a Wi-Fi hotspot, you will need a software that can configure your network configuration for sharing internet connection through your wireless adapter. Here is the best free software that can turn your computer into a Wi-Fi hotspot. With My WiFi Router, you can share a single internet connection (LAN, Ethernet, Data-Card, 3G/4G, Wifi) with multiple devices such as laptops, smartphones, android phones, PDAs, and iPads. Not only can you share the connection, but you can also share videos across those connected devices too. My WiFi Router is very easy to use; download & install, input a hotspot name and password and start up a connection, it’s that simple. But, the really neat thing about My WiFi Router is the ability to extend the wireless range of your default device. This fact alone makes My WiFi Router one of those applications you really should have in your toolkit. 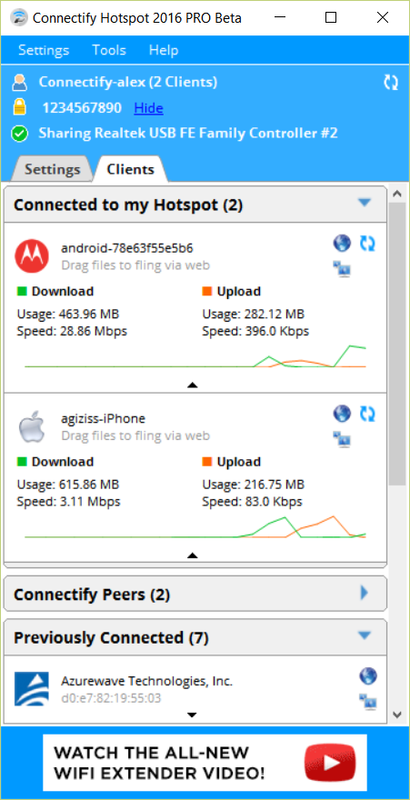 Overall, Connectify Hotspot performs well and has a solid list of features. The app is easy to the eyes and the user interface is simple to get to grips with, even novice users will be able to set-up and use this app with ease. The Pro and Max versions of the app provide more than the basic functions, such as WiFi repeater mode, bridging mode and the ability to share 3G, 4G, and tethered connections.